Southeast corner from East End Avenue. Looking up at the east facade from East End Avenue. The 17-story tower is clad in a handset pale Indiana limestone at the base and patinated grey brick above. A residential entrance fronting on East End Avenue will feature a canopy and custom-designed sconces. Bay windows and Juliet balconies are interspersed amongst the non-symmetrical arrangement of building massing and oversized casement windows. The top five floors feature setback terraces facilitated by the erosion of the building massing above the 12th floor, with landscape designed by the architect. Northeast corner from East End Avenue. Looking south on East End Avenue. View to the southwest from the rooftop terrace. One57 (left) and 220 Central Park South (right). View to the west from the rooftop terrace. View to the north from the rooftop terrace. Long Island City framed by an arched opening on the rooftop terrace. The development will offer 43 residential units, ranging in size from 2-to-6-bedrooms and ceiling heights of 11 or 12-feet. Apartments will offer luxury finishes, including custom millwork and cabinetry from the architect. Amenities offered for the residents will include a gated port cochere opening into a private motor court, a grand staircase in the lobby leading to the amenities in the lower level and the second floor, wine cellar, spa, fitness center, kid's lounge, billiard's room, and library. Penthouse living space with southeast corner view.. 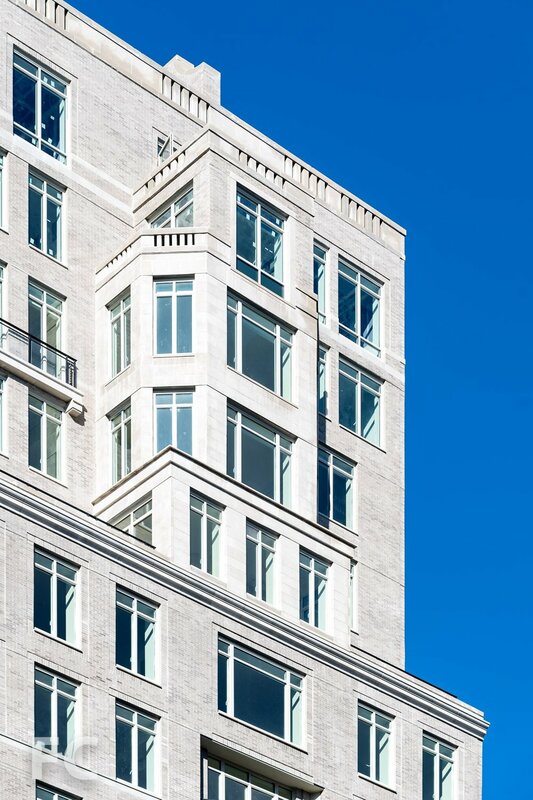 Architect: Robert A.M. Stern Architects; Developer: Corigin Real Estate Group and Florida East Coast Realty ; Program: Residential; Location: Upper East Side, New York, NY; Completion: 2017.